Below is an excerpt from PAISBOA’s March 8 Friday Flyer on a Sutainability Group event at Shipley School on April 4. For more information, email Mary Ann Boyer at maryann@boyersudduth.com! Excerpted from PAISBOA Friday Flyer Volume VIII, No. 4, March 8. Since August 2018, Boyer Sudduth Environmental Consultants met to organize, brainstorm, and plan -- and then organize, brainstorm and plan again, with Reading High School students, teachers and staff to develop a vision for a project that would invigorate their environmental education and school sustainability. Now it’s time for the big reveal…The Living Learning Laboratory Project. Reading High School will transform their unused school courtyard into a vibrant, biodiverse space where students can engage in hands-on STEAM learning outdoors. The Green Committee at Reading High School believes “This project will foster a generation of citizens who are prepared to become creative and innovative leaders, to take care of their environment, and to actively participate in their community for years to come.” We think so, too! A section of the existing courtyard at RHS which will be renovated into a new outdoor learning space. We are so excited to work with a talented group of people: the students of the Eco Club, Faculty Green Committee Lead and Environmental Science teacher, Jeannine Michel (pictured below), landscape designer Ann Sellers, and agriculturalist Kent Himmelright of the Berks County Conservation District to make this vision possible. On April 11, the School will have a “Green Between” event from 3 to 5 pm with area community partners to raise awareness about the plans for the Courtyard. We hope to break ground late spring and during the summer. Check back in with us as this courtyard, and the Reading High School community, transform. By Emma Schlam, Sustainability Intern at Boyer Sudduth Environmental Consultants, and grad student at Clark University pursuing dual degrees in Master of Business Administration and Master of Environmental Science and Policy. Fuse19 exists at the intersection of business and education – it is a conference for exploring the possibilities of design thinking, the maker movement, entrepreneurship and innovation. Hosted by the Mount Vernon Institute for Innovation (MVIFI) and Mount Vernon Presbyterian School (MVPS), this multi-day experience brings together leaders from education and corporate industries from around the country, with the intent to inspire transformative impact and change. Participants gain hands-on experience to build capacity as learners and leaders within their organizations and innovation teams. OAEC’s School Garden Teacher Training supports schools in creating and sustaining garden-based ecological literacy programs and helps build a strong cohort of colleagues.This training is designed for individuals or teams of teachers, garden educators, administrators and core parent volunteers. The Walton National Sustainability Teachers’ Academy is an intensive, five-day professional development workshop for K-12 teachers held every summer. Participants receive a thorough introduction to sustainability science through hands-on activities and lectures by experts in the field. 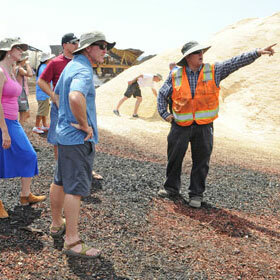 Engaging field trips highlight sustainability in action at local business and other organizations. Through ample networking opportunities, teachers become part of a dedicated community of sustainability activists, scientists, entrepreneurs, and other educators. PBL World is a one-of-a-kind, multi-day event for Project Based Learning. Each year, it brings together educators - K-12 teachers, instructional coaches, and school and district leaders - who want to begin and advance their Project Based Learning practice, and connect with a community of their peers. The event is an immersive experience that actively engages participants in deep, focused, real work, in collaboration with peers. ELI is a transformative experience designed to expand thinking about environmental education and to revitalize work with students and colleagues. This week-long teacher training aims to cultivate a community of educators interested in environmentally-focused teaching and learning. It emphasizes how the methods and approaches of disciplines in the humanities can enhance environmental learning. The various workshops, speakers, and events offers rich ideas for teachers in all disciplines, including the natural and social sciences. Participants include a diverse group of K-16 teachers and administrators, along with community based educators. Learn practical approaches and add inspiration to your environmental education curriculum during this action-packed program. Hog Island Audubon’s experienced and enthusiastic instructors share their favorite approaches, methods, and activities for engaging both children and adults with nature. An intensive multi-day workshop that enables teachers to integrate the concepts of sustainability into their existing curricula. The Institute equips K-12 teachers with practices and teaching methods to address the core concepts of EfS – the intersection of social, economic, and ecological systems – and how the balance of those three systems is vital to a sustainable future, and relevant to all subject areas. This week is part conference, part workshop, part retreat. Designed to be dynamic and democratic, the Institute offers teachers the time and space to develop projects of personal interest while providing opportunities to learn from colleagues and other leaders in field of Education for Sustainability. Interactive sessions will feature a blend of individual work time, peer-to-peer feedback, resource sharing, hands-on learning experiences, and large and small group discussions. Our goal is to educate and inspire life-long learners through “hands-on” experiential learning by offering programs that appeal to both new and our ever-growing list of returning participants. Learning will include on-campus studio or lab work, informal discussions or lectures, and field trips out and about in Mount Desert Island’s picturesque Acadia National Park and the outer islands of Frenchman Bay. An immersive Introduction to Education for Sustainability (EfS) over the weekend and 5 Days of Curriculum Design and Coaching. Gain access to expertise, resources and tools required to design elegant curricula for use in the classroom, protocols for professional development, or action plans designed to implement EfS change initiatives in schools and communities. Onsite lodging and meals optional. Compiled by Maryana Dumalska, Sustainability Intern at Boyer Sudduth Environmental Consultants, and a junior at Boston College studying Environmental Geosciences and Economics. Last year, the Arlington Public School District (APS) in Massachusetts was one of fifty-eight primary, secondary, and postsecondary schools and school districts to receive national recognition for efforts and achievements in sustainability. Over the course of several years APS invested in improving energy efficiencies by installing solar panels, new natural gas boilers, LED lighting, and energy management systems, among other operational improvements (APS ED-GRS application, 2017). Students and faculty can be found composting, diverting 122,000 pounds of food waste from the landfill each year. Students also have the opportunity to learn about environmental science, energy efficiency and sustainability through recycling and composting programs as well as interactive tools that display energy use and savings. Springside Chestnut Hill Academy, a 2012 Green Ribbon School from Pennsylvania, uses bulletin boards to raise awareness of the school’s zero waste efforts. Developing minds are a distinct target for initiating change, promoting sustainable innovation, and spreading awareness. More than a quarter of the U.S. population is school-aged (0-25), most of whom spend significant portions of their day in educational institutions (and more, if you include faculty and staff) (KFF, 2016). Thus, educational institutions have become exemplars and boiling pots of sustainable transformation. Through efficiency improvements, recycling, composting and other waste-reduction programs along with numerous environmental education opportunities, schools across the country are taking steps (both big and little) towards a more sustainable future for generations to come. ED-GRS awards work as a catalyst to improve infrastructure, experience, and opportunity in schools nationwide by amplifying sustainability success stories and sharing best practices. Green schools “teach students how to lead a changing world, and they support student understanding by modeling sustainable behavior through green operations and building practices” (Center for Green Schools, 2018). DOE Green Ribbon Schools three pillars. Schools with more energy efficient operations spend less on utility costs and are better able to channel resources to education. Schools with healthy environments allow students, faculty, and staff to flourish. 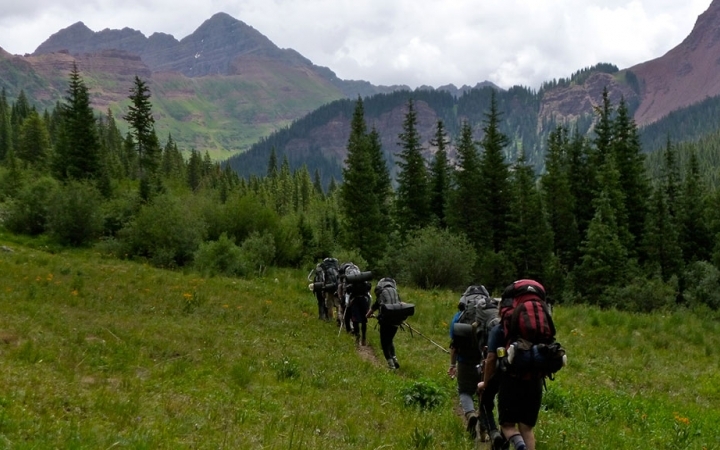 Schools that offer exceptional educational opportunities in hands-on cross-departmental environmental learning (especially STEM and green careers) foster student engagement, civic skills and leadership. Wendy Turner, teacher and Green Team leader, at Mt. Pleasant Elementary School, a 2015 Green Ribbon Award winner and participant in Green Building United’s Delaware Pathways to Green Schools program. The program has “made a significant impact on the green schools movement,” says ED-GRS Director, Andrea Falken. The DOE now has “an unprecedented platform to address school facilities, health, and environment.” Falken believes in the program’s unique ability to foster collaboration. ED-GRS and it’s affiliated resource-sharing tools have worked to spread awareness of the many free programs that organizations such as NOAA, EPA, and U.S. Departments of Agriculture, Interior, and Energy offer. The program has also enabled collaborations across the for- and non-profit private sectors, Falken says. Want to make improvements in the three pillar areas at your school? BSEC has experience empowering and guiding schools through the development and implementation of sustainability strategic plans and programs. Contact us for a free phone consult! You can find more information on the national ED-GRS program here. DOE’s Green Strides platform also offers a user-friendly pool of resources, funding and collaboration opportunities. You can also contact your state ED-GRS coordinator for more information. Article submitted by Avery Wolfe a recent graduate of Bates College and intern with Boyer Sudduth Environmental Consultants. In the United States, food waste is a growing problem. Currently, about 40 percent of food is thrown away without any effort to divert it from the landfill. By weight, 63 million tons of food are wasted in the US alone every year. Not only is this behavior a gross misuse of food, but growing, processing, and transporting food is a major draw on resources. Food waste alone consumes 21 percent of all freshwater, 21 percent of landfill volume, and 19 percent of cropland (ReFED, 2018). The energy the US wastes on discarded food in a year is about twice as much energy Switzerland uses in a year (Webber, 2010) . Meanwhile, one in seven Americans are food insecure, meaning they lack reliable access to affordable, nutritious food (USDA, 2017). 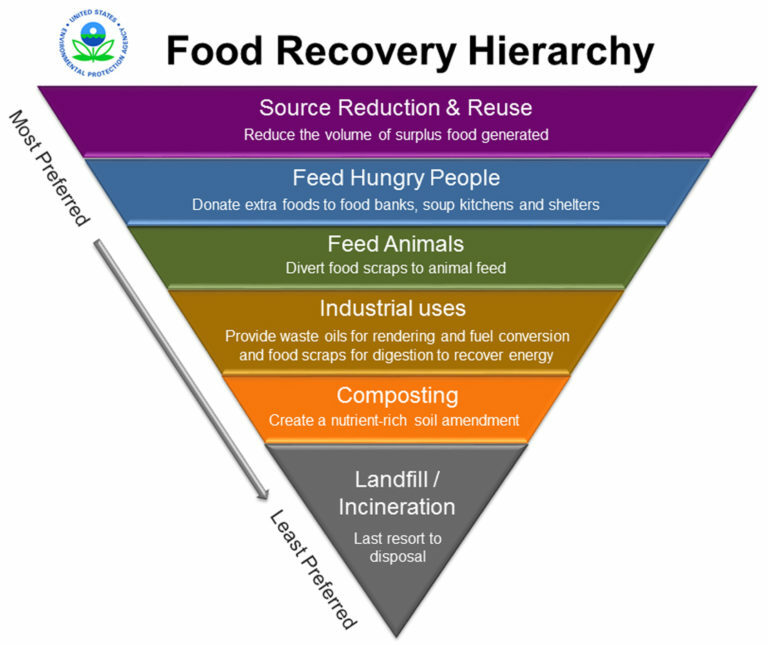 Due to the scale of this problem, the EPA has created a Food Recovery Hierarchy, a comprehensive graphic that outlines preferred food recovery techniques, with feeding hungry people and source reduction being the best practices. Of the $218 billion worth of food wasted every year in the US, $1.2 billion is from school lunches (Bloom, 2016). In a study of four Boston schools, 26.1% of the food budget was thrown away by middle school students annually, not including the extra food that was never served (Cohen, 2013). While school lunch waste makes up a fraction of the wasted food in the US, it is an imperative problem to address. The K-12 educational system is an incredibly important piece of the American society, for it shapes the minds of its young generations. What these students learn in school can develop their passions, their habits, and their understanding of the world-- including the problems it faces. Allowing such waste in the school system teaches children that food is garbage, disposable and of little value. The USDA has introduced the Food Waste Challenge, a food waste reduction challenge for schools to participate in. Some schools have taken major steps towards reducing food waste and making students apart of the process so they can continue the legacy. Addressing food waste is a new and growing issue, but school administration can often be too busy to tackle the problem. So, it is often up to inspired community members to spark the change they would like to see. Wellesley, Massachusetts has an exemplary food waste reduction system, with programs including food share tables in elementary schools and a food donation system. These food recovery efforts began with a few concerned parents, teachers, and a motivated Food Service Director. From that grassroots beginning, food recovery projects have sprouted up in all K-12 schools in the Wellesley school district. Food services cut back on the food that was not being sold. Kitchen staff went through a training process on how to package food eligible for donation. Food that was not being sold or even put out was packaged up and taken by volunteers to food pantries. Today, excess prepared food is frozen and then picked up by Food for Free, a food rescue organization, every two weeks and taken to nonprofits in need of food. Since then, Mr. Delaney has made great efforts to tailor meals and portions so that food waste is minimized. Future goals include expanding the school’s reusable “green” food container supply and introducing food waste composting to all cafeterias. After learning that the school was throwing away edible food in the initial student led waste audit, Bates Elementary School began a “share table.” Share tables (often found in elementary schools) are areas where students can leave their unopened food so that it can be redistributed. At Bates, students leave their unopened food on a specific table after lunch so it can be redirected to students in the after school program, teachers, and town departments such as Public Works. The program has been expanded to a few other Wellesley elementary schools. In Wellesley elementary schools, parents and the Food Service Director played key roles in inspiring and implementing the food rescue program. A hope for the future in middle and high schools is that students may be inspired to address food waste and go beyond food donations and share tables. For example, students can examine why it is important to conserve food and understand the causes of the food waste challenge in the United States. In 2015, the U.S. Environmental Protection Agency set a goal of reducing food waste by half by 2030 (EPA, 2015). Consumer education will be a big part of reaching this goal. At schools, students can learn strategies for prevention, recovery and recycling of food waste. From “right sizing” portions to properly disposing of plate waste or “leftovers,” lessons about reducing and managing food waste. While curriculum is often slow to change, teachers who want to teach about food waste can work with motivated students to take the initiative to educate themselves and their peers. The links below offer some helpful suggestions for getting started. In colleges, students often make this push. An organization called the Post Landfill Action Network (PLAN) provides resources to college students who are seeking guidance in changing the food systems at their schools. Campus Coordinators work with individual students or environmental student groups to implement waste reduction techniques such as changing portion sizes, removing trays, implementing compost, and donating unserved food. Even these students have trouble making change in consumer behavior, possibly because older students are more prone to sticking to habits. If behavioral change can be introduced at younger ages, there’s far more potential for lasting differences in how people consume their food. Fortunately, the Federal Government protects donors of food through the Bill Emerson Good Samaritan Food Donation Act of 1996, which encourages donations of food and grocery products to nonprofit organizations. The Act encourages donations by stating that legally, a person shall or gleaner not be subject to civil or criminal liability arising from the nature, age, packaging, or condition of apparently wholesome food or an apparently fit grocery product that the person or gleaner donates in good faith to a nonprofit organization for ultimate distribution to needy individuals” (US Cong. 104-201). Although the federal government may encourage food donations, each state and school district has different policies as to how share tables and food donations should function, if they are allowed at all. The website Food Rescue has a history of State Policy on food waste in schools, which is important to know when attempting to start a share table of your own. Some schools donate unserved prepared food by donating it to a food rescue that will distribute it to a nonprofit serving those need. Once state and local allowance is confirmed, local board of health approval is also necessary. Other key players to work with are the food service department, custodians, and administration. Food sharing, donating, and conservation cannot be done without the help of these departments who monitor different aspects food services. Creating collaborative relationships with these people are required to the functioning of any food rescue, share, or compost operation. Thank you Matt Delaney of Whitsons Culinary Group, Phyllis Theermann of Sustainable Wellesley, and Adina Spertus of Post Landfill Action Network (PLAN). Written by Meggie Devlin, Intern, Boyer Sudduth Environmental Consultants LLC. Cohen, J., Richardson, S., Austin, S., Economos, C., & Rimm, E. (2013). School lunch waste among middle school students: nutrients consumed and costs. PubMed, 44(2). Cuellar, A., Webber, E. (2010). Wasted Food, Wasted Energy: The Embedded Energy in Food Waste in the United States. Environmental Science & Technology. 2010 44 (16), 6464-6469. United States, Congress, Senate. Bill Emerson Good Samaritan Food Donation Act. Government	Printing Office, 1996. 104th Congress, Senate Bill 104-210.